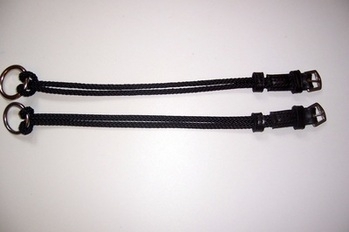 Black nylon loop ended Gag Roundings with 5/8" buckles. Total length from top to bottom 15". These roundings are safe and quick and easy to use. Now come with a leather stopper.